Remove Bloatwares, Apps like Facebook, Chrome Keep sucking your Ram & battery by running in background So, Among the smartphone geek crowd, applications like these are referred to as “bloatware:” they do nothing but bloat the software by existing as unnecessary applications. Tweak your phone like : Increase Video streaming speed, Increase Wifi Speed, Increase SIM detecting Speed, Increase SD read/write speed. Most Important & Best part, Install Custom Kernel & Custom ROMS. As far as rooting is concerned, most of the people believe it “Rooting Android” is some rocket science. But its not! At least not with Le 1S. You don’t need to unlock any Bootloader, Install recovery or anything to root your Le 1S. Its just a one click process. Let’s begin with the process of rooting Le 1S without PC | Rooting Le 1S using phone. Charge your device upto 30-40%, to avoid shutdown while rooting. Backup all your data. Although rooting Le 1S is pretty simple & does not involve any data loss. But if in case your device goes unresponsive while rooting (Exceptional), you can restore data through backup. Note: We won’t be responsible for anything happening to your device during the rooting process. Rooting your Le 1S will void its warranty. But that’s a chance you can take, considering the amount of control over the system files you will have, after rooting. Step 1: Goto Settings> Security. 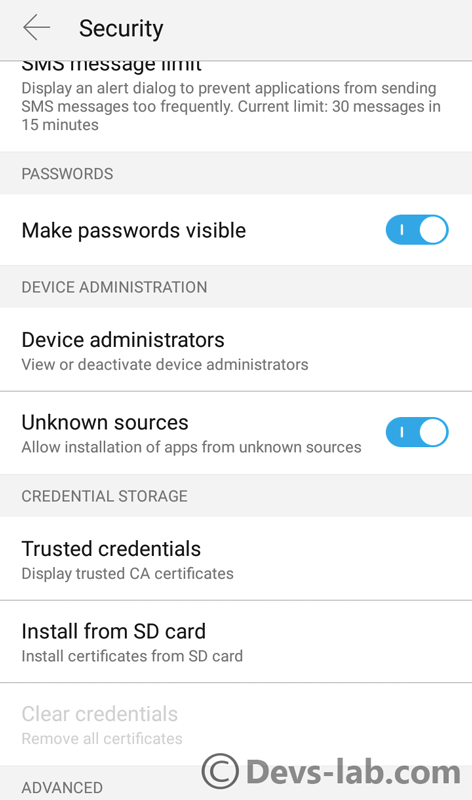 Enable “Unknown Sources: Allow installation of apps from unknown sources.” Don’t worry if you don’t have unknown sources enables, EUI is intelligent enough to ask you that while you are installing the app. Step 2: Download Kingoroot App & install it as normal apk. Just press OK for any security warnings while installing the App. 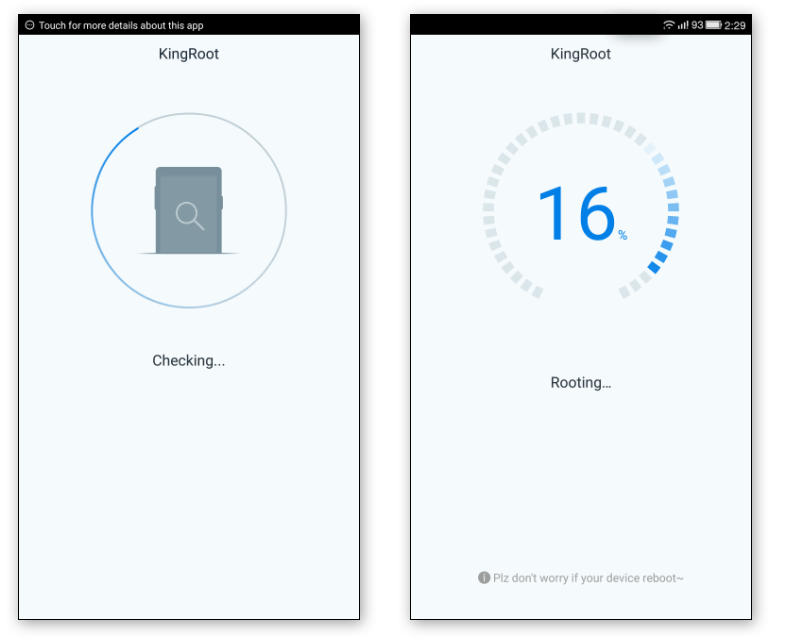 Step 3: Once the installation is completed, Launch the Kingo Root App & click on Root button. Don’t worry about what it shows on the screen. I have successfully rooted my Le 1S through this method. Step 4: The app will look for exploits and take some time to root the device. It might take some time for the app to reach 100% and your phone might also reboot once. If that’s the case, don’t forget to run KingRoot again after the reboot. Step 5: Once the process is completed i.e it shows 100%, you have successfully rooted your Le 1S. Now you can tweak your device the way you want. Unrooting Le 1S is damn easy. Even if you have not followed the above procedure to root your Le 1S, you can unroot Le 1S easily. Just follow the steps as mentioned in below image. 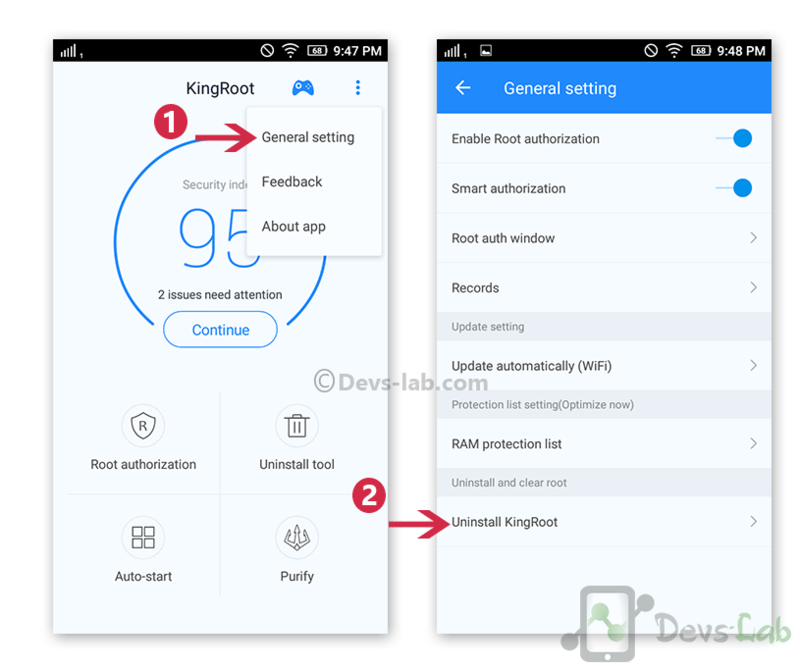 Step 1: Launch the Root managing App, in our case its KingRoot. Tap on three dots, at the top of the App, in SuperSU App, you can goto Settings. Step 3: It will uninstall the Root file from system. Now you have successfully unrooted your Le 1S. 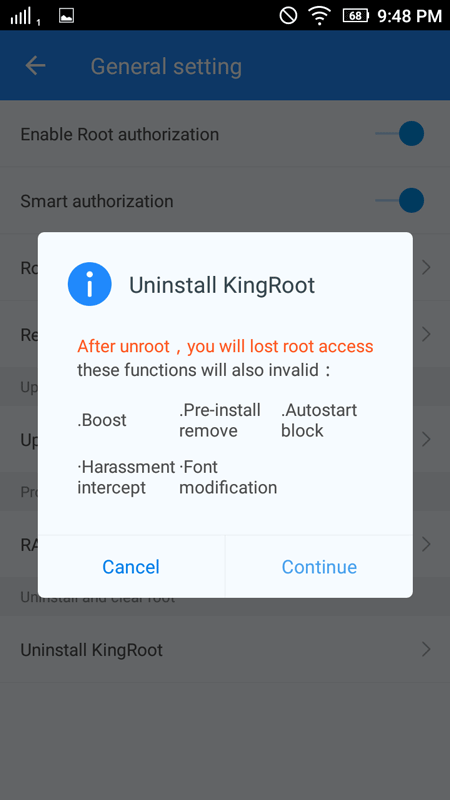 If you have installed any other Root managing app, you can check How to unroot Android device. 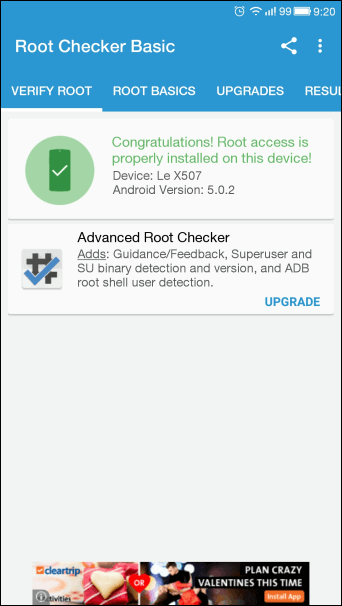 You can check best Apps for Rooted Android device. Although LeTV has not yet confirmed about warranty after unrooting your device. But most of the time, after rooting you can claim warranty. As the rooting procedure if completely reversible, you can give it a shot & check the difference after rooting your Le 1S. How to Root & unroot Lenovo K4 Note without PC in single click.